Aah, summer... The season that I have a love / hate relationship with. As much as I love feeling the sunshine on my skin, I hate all the things I have to deal with in order to keep my skin protected. 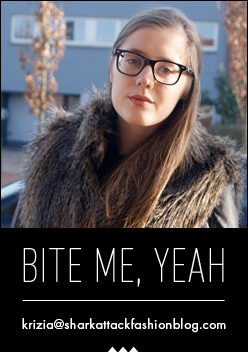 Even though I'm 100 % Italian, my skin prefers to think otherwise. I'm very pale - Edward Cullen ain't got sh*t on me - and I hardly get a tan. I already made peace with the fact that I will never have a bronze glow and became best friends with the shadow over the years. Tanning beds are not for me either. I just don't have the patience nor the will to lock myself into a cancer spreading box. Don't get me wrong: it's not that I go into complete isolation during summer, but I know my limits and I am aware of what my skin can or can not handle. So I do sit in the sun from time to time - I have to soak up some vitamin D - but you will never see me laying in the sun for hours straight. Plus, I also apply sunscreen like no other. My friends like to make fun of my paleness and my sunscreen obsession, but I just don't want to risk damaging my skin for nothing. 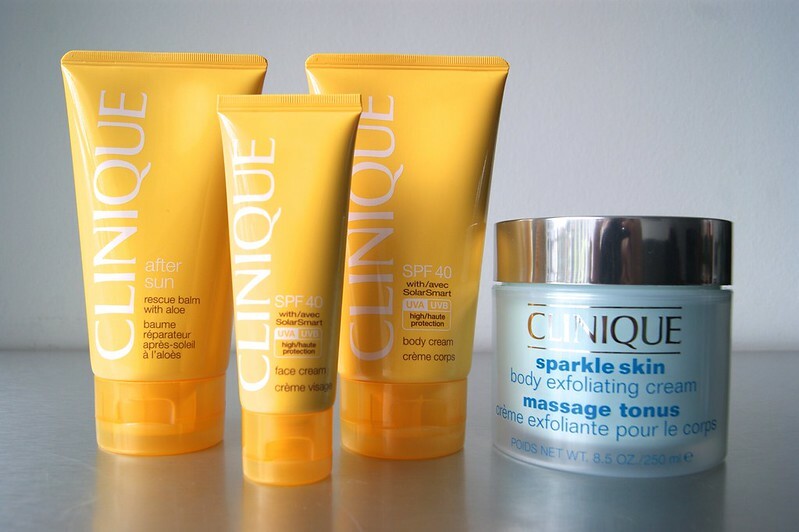 A couple of weeks ago, Clinique sent me some products to try out this summer, including a scrub, a body cream, a face cream and after sun. My trip to Italy and the recent Belgian heatwave gave me the perfect opportunity to try them out. Disclaimer: These products were sent to me by a PR company / brand for review purposes. 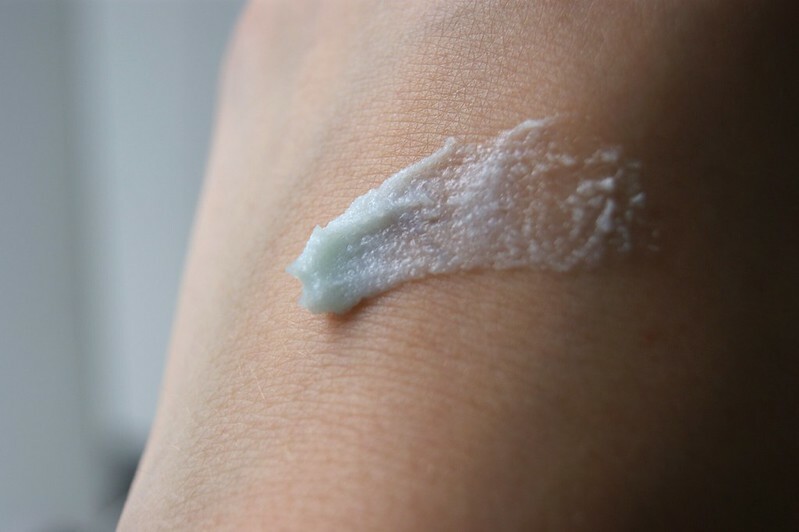 First up is the Sparkle Skin Body Exfoliating Cream, which is developed to especially focus on the raw parts of the skin: elbows, kneels, heels... 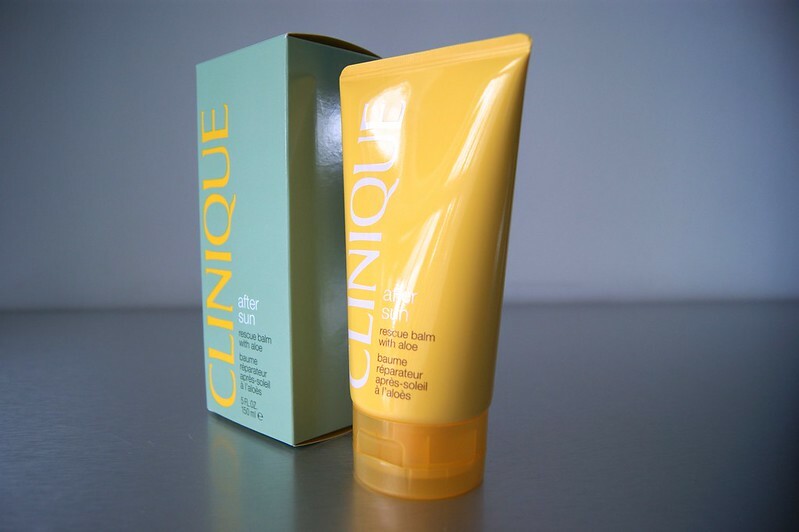 The rich exfoliator will re-energize the skin, while the little grains will remove dullness and skin flakes. Having a nice tan with super visible white, dry skin on your elbows or wherever, is the worst for me. Even though I don't get a tan, I do scrub at least once a week. The skin on my legs is extremely dry and at one point it seemed as if my legs were made out of nothing but skin flakes. And that's where the scrub came in. The scrub has a mint green color and smells like mint as well. I'm not a big fan of products with a prominent smell, but in this case, the mint does not take over. It's subtle, pleasant and adds that little bit of freshness to it all. The grains are there, but they are not that visible like they tend to be in other scrubs. The scrub washes off super easy, which is a plus for me. I hate it when the grains keep sticking to your body and you can still spot them after rinsing yourself a dozen time and even toweled yourself up. Don't expect a clean, flake free body after the first try, but you will already notice the difference. I've been using the scrub for a couple of weeks now and my legs are now super soft and flake free! Plus, I love the subtle, fresh feeling and smell while using it and afterwards as well. The part that I hate the most and is the most crucial about protecting my skin during summer: applying sunscreen on my body. I always start with good intentions but I have to admit that I'm kind of sloppy when it comes to applying. I tend to skip places, which always leaves me marked with sunburned spots all of my body. Not too smart, I know. 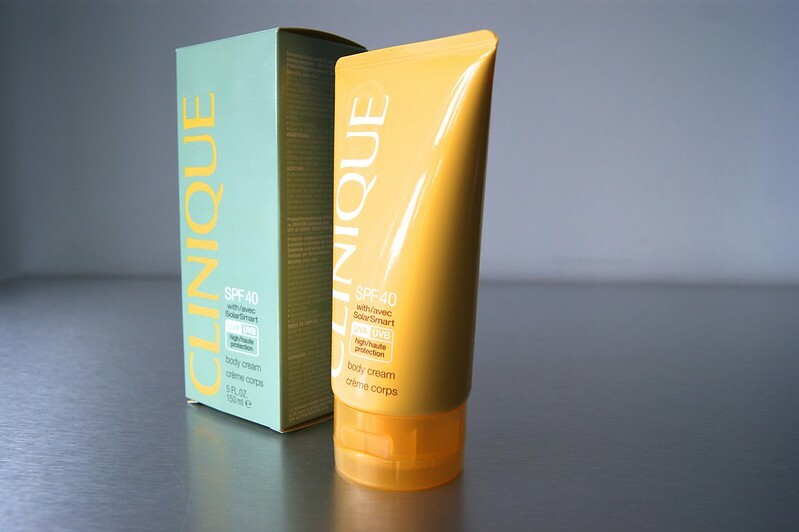 The Clinique body cream is thick, but spreads and absorbs very easily. The fact that my skin doesn't feel sticky after applying the sunscreen two hours earlier, is a big plus for me. The only thing that bothers me is the way it smells. Even though the cream is 100 % perfume free, there's something about it that I can't explain. It's like the typical sunscreen smell that I can't bear. 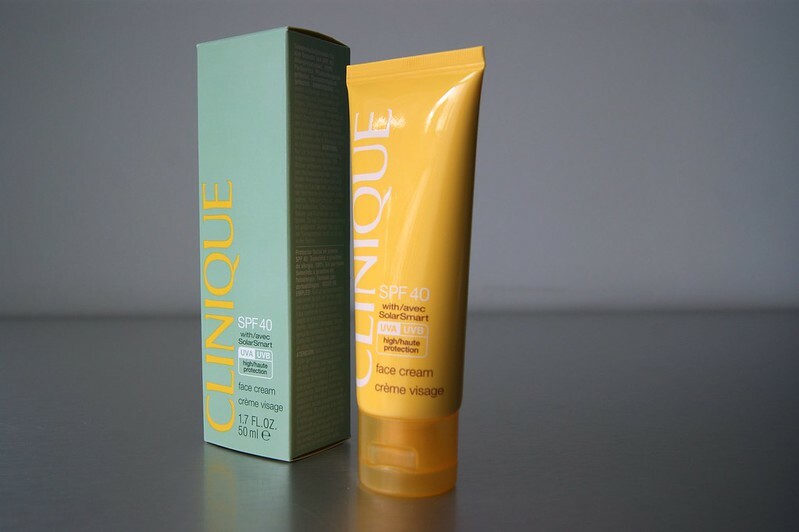 You see, the thing is that I just have to stop bitching about scents and get over it, because other than that, the Clinique sunscreen does an amazing job. Other than the places where I was too sloppy to apply the sunscreen properly (right next to my bikini, for example), I was completely sunburn free. It was nice to be able to walk around in the sun without having to worry all the time. 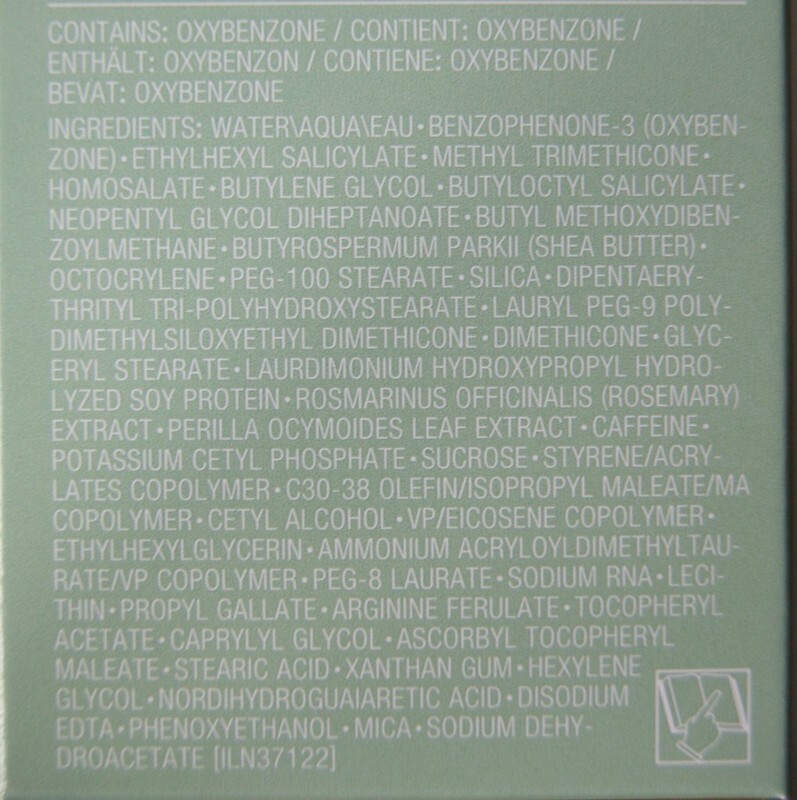 So again: apart from the scent (which bothers me but might not bother you), I absolutely love this product. The face cream / sunscreen is actually kind of similar to the body cream / sunscreen: thick, but spreads and absorbs super quick. The smell bothers me, but enough about that. The main thing is that it does the job. I applied the face cream every day and I didn't look like a lobster once. When I grew up, 'lobster' was my nickname during summer, because my whole face turned red because of the sun, especially my nose. But I'm thrilled to say that this isn't the case with the Clinique SPF 40 Face Cream. Yay! When I was younger, I never really understood the use of After Sun cream, but I know better now. I'm happy that I brought this on my trip as well, because it felt divine applying it on the sunburned spots. Anyone who has had a sunburn knows how the feeling of it can almost drive you to extremes. 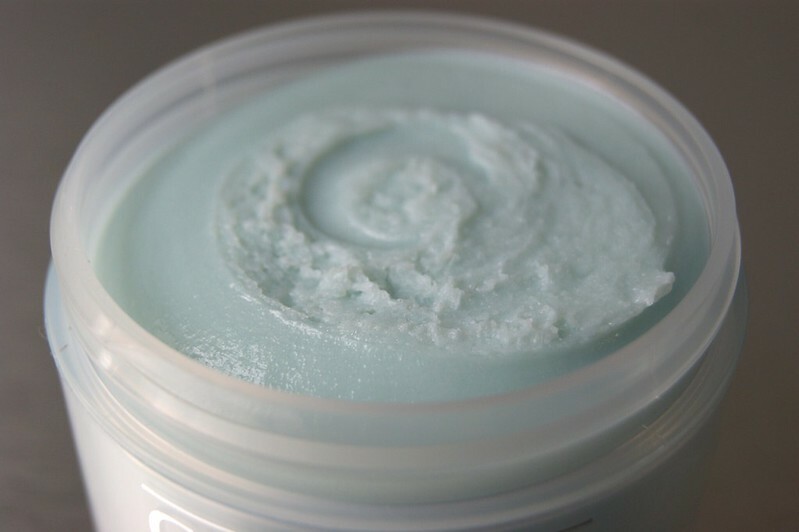 The cream calmed my skin and the cool, fresh feeling of the cream is indescribable. It doesn't remove the pain completely (and I don't expect it too either), but it will help you to get a good night's sleep. 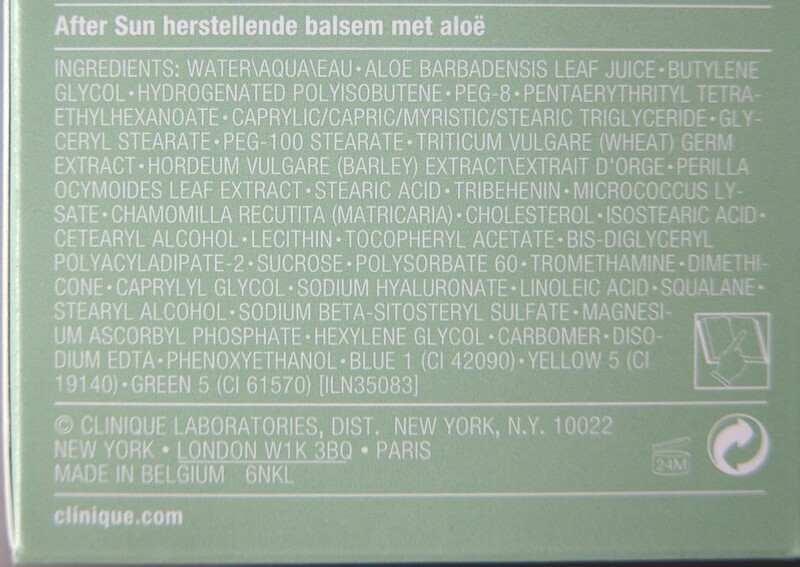 As for the texture: the After Sun is a more fluid than the Body Cream and Face Cream. You really notice that the thick body and face creams are developed to protect the body, while the more fluid and fresher After Sun cream was created to calm the skin down. 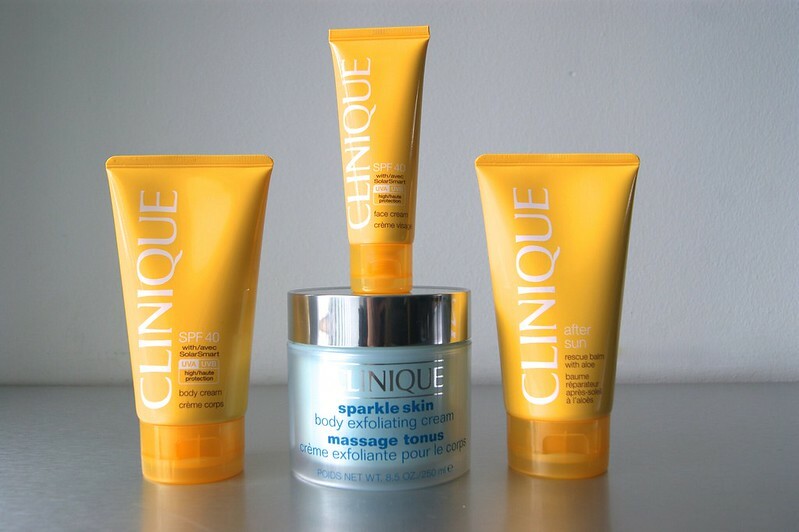 Overall, I'm very pleased with these Clinique products. I went to the dermatologist a couple of days ago to get a check up and he told me that my skin isn't damaged and that he's proud of me that I don't put myself at any unnecessary risks by sitting in the sun too much, trying to get the tan that will never come. So I think the Clinique summer skincare line did the job amazingly well. 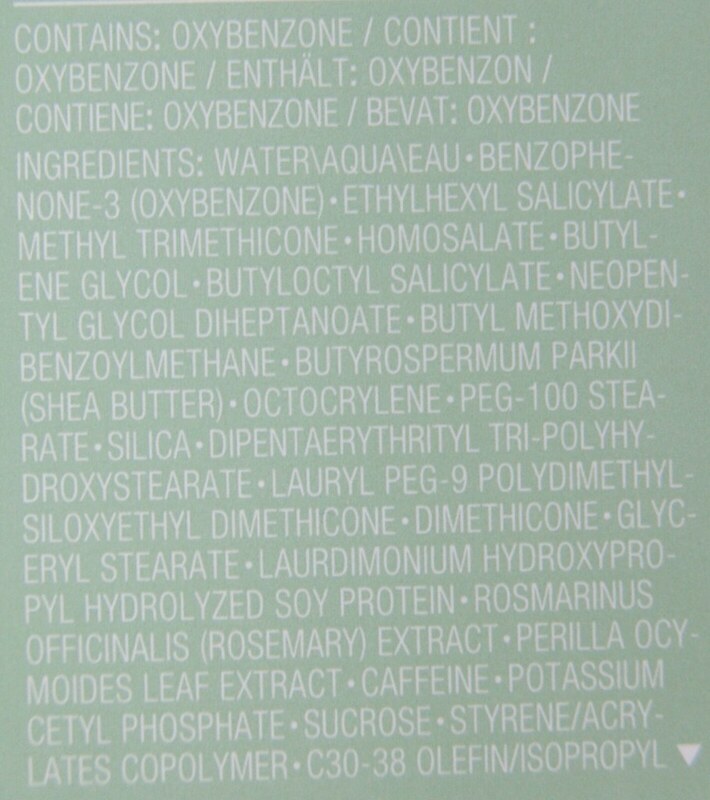 Clinique's summer products are all allergy tested and 100 % perfume free and fat free. They were tested by oculists as well. The products also contain antioxidants. I think summer is a tough time for skincare no matter what type of skin you have. I tan very easily, even with sun screen, which you would think would be good... But I don't tan evenly, so I always wind up looking striped and having four dinner skin colours by the end of the season! 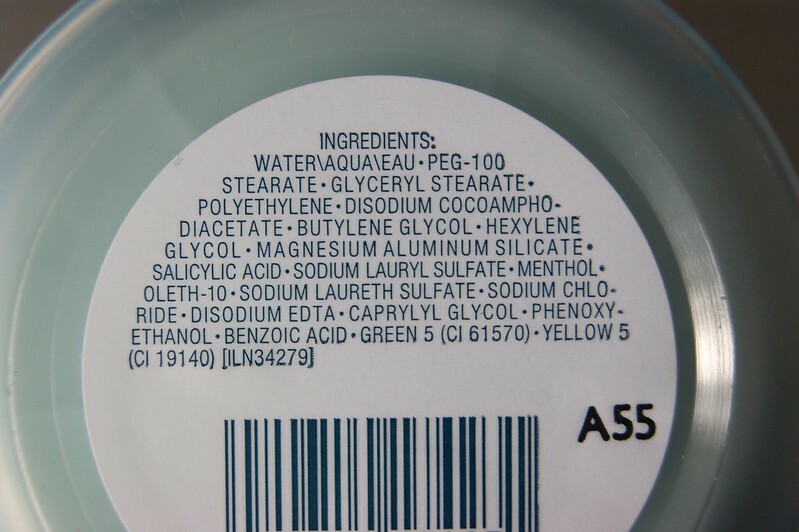 But knowing what products work on your skin really helps, of course. 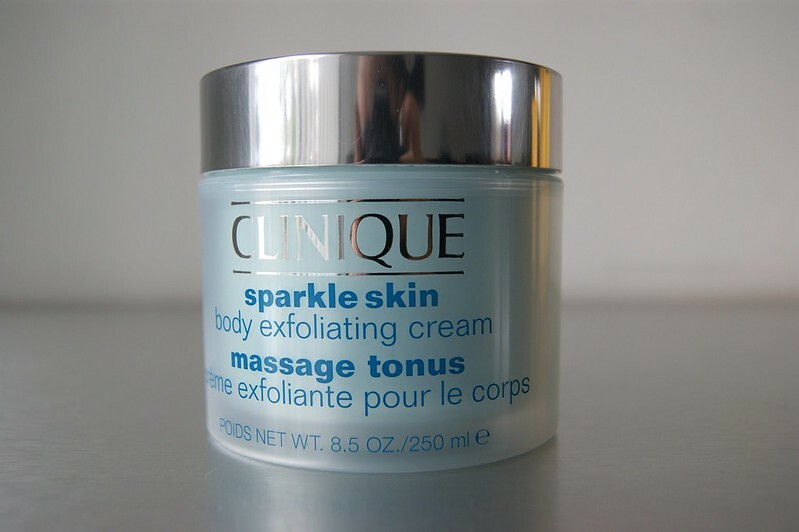 I love the sound of the sparkle skin exfoliator. Wat lief, dank je wel!!! Pop over to my blog and maybe leave a comment?